Taste Testing and Free Bag Giveaway at La Tiendita Linda Vista! Looking for fresh fruits and veggies? 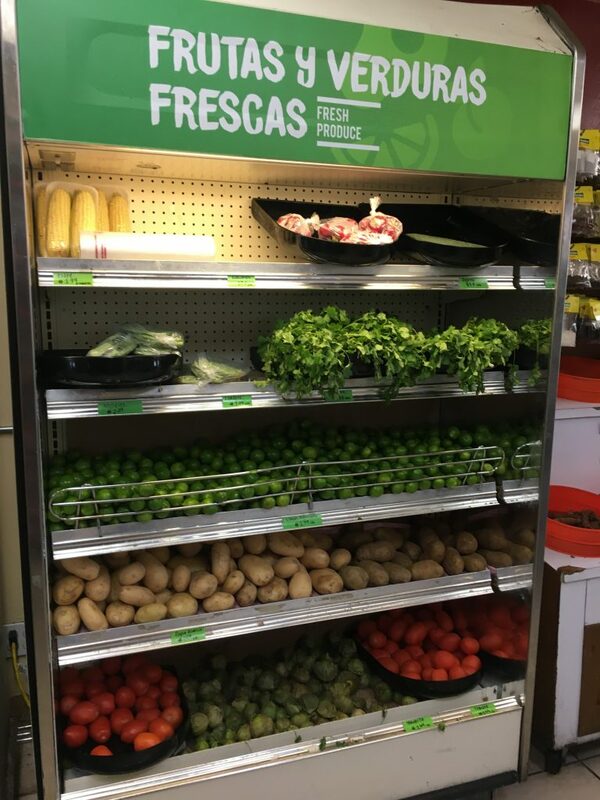 La Tiendita Linda Vista is your local market for fresh produce! 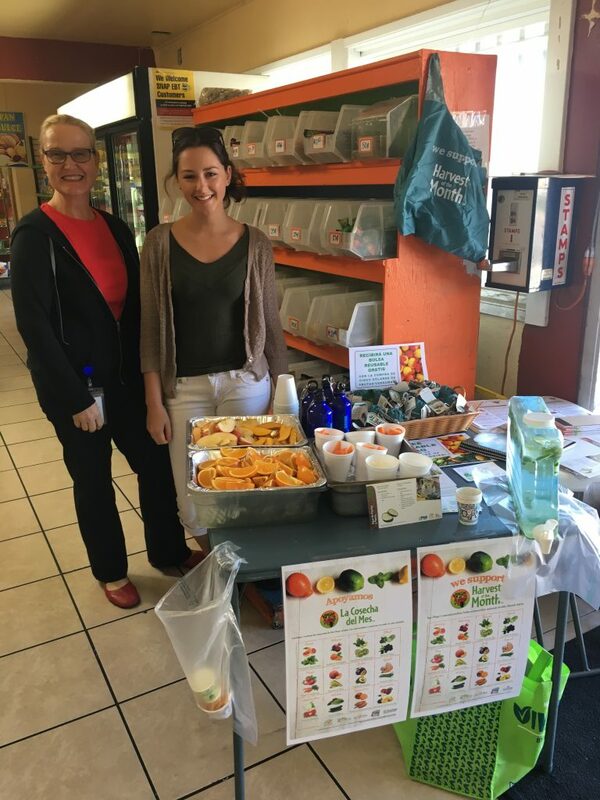 As a participant in our Live Well Community Market Program, La Tiendita just recently hosted a delicious fruit sampling event on March 13th. 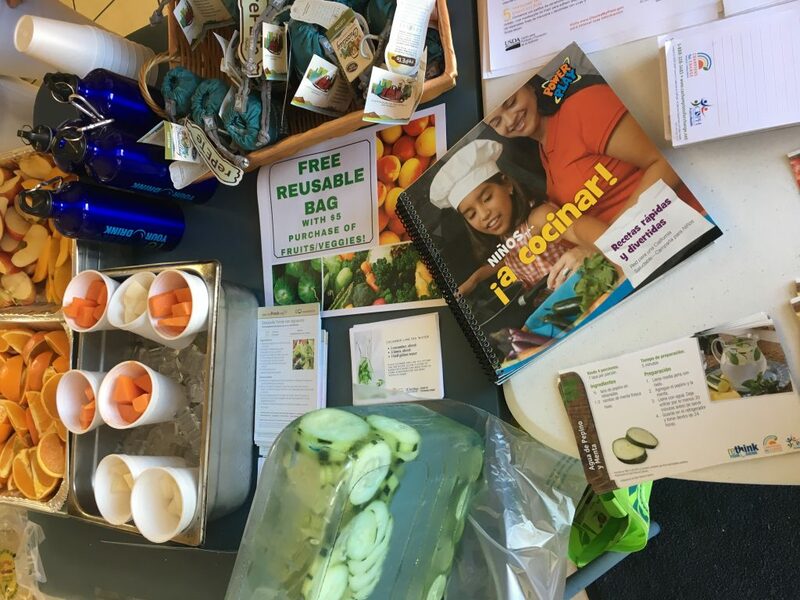 Our student intern Leah Contardi worked with San Diego County Nutrition Education Specialist Beatrice Lomer to put together a fresh produce sampling table to promote healthy shopping choices. The sampling included cups of freshly sliced papaya and jicama, sliced mango, oranges, and apples, as well as refreshing (and sugar free!) cucumber lime spa water. As part of the promotion, we also gave away free reusable Harvest of the Month shopping bags for shoppers that spent more than $5 on fruits and vegetables. Recipe cards, healthy cookbooks for kids, and fun and useful nutrition facts were available too!